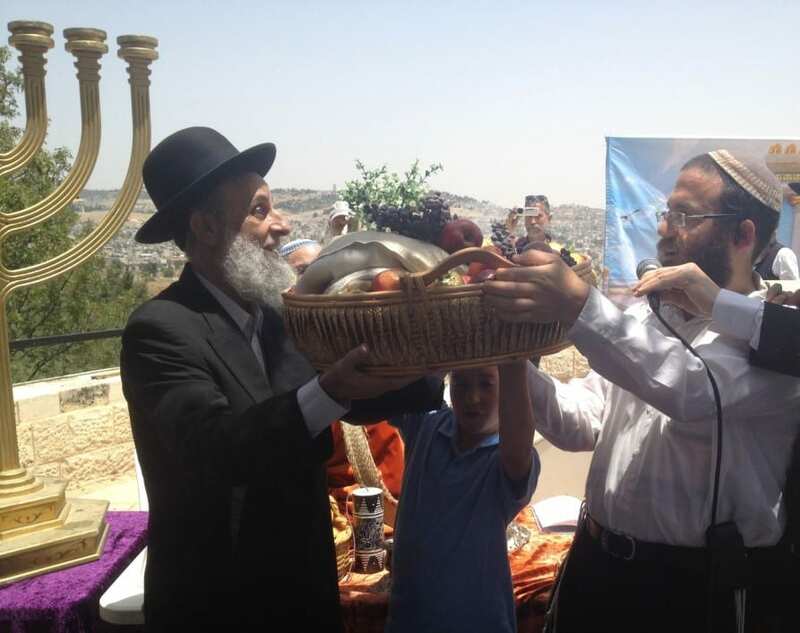 On Monday, on a mountain ridge overlooking the Old City of Jerusalem and the ancient Temple Mount, kohanim (ancestral priests) performed a dry run of the Temple Service for the Shavuot (Pentecost) holiday. All three of the major components of the holiday service – bringing of the first fruits, preparation of two loaves of bread using the season’s new wheat, and a special holiday offering – were conducted to as great a level of detail as is possible at this point in time. Several kohanim, levi’im (ancestral Levites) and crowds of parents and children assembled on the Armon HaNatziv Promenade, just south of the Old City of Jerusalem, on the day after the official Shavuot holiday to newly re-enact this most joyous and beautiful ceremony, marking the time in the calendar when the wheat has just ripened and the first fruits of the season are ready for picking and eating by the entire populace. 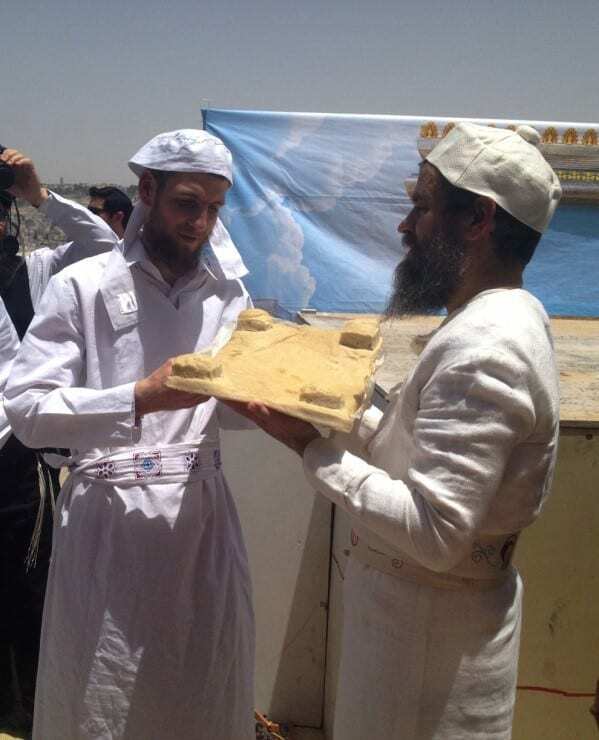 In recent years, due to similar events, the entire concept of Shavuot is undergoing a transformation. Shavuot as a holiday has many aspects. 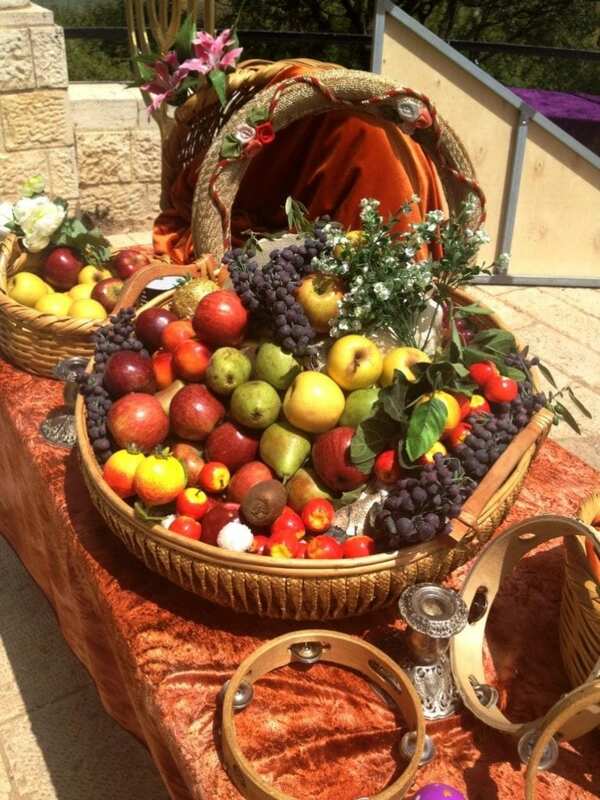 It was the time for bringing first fruits to the Temple, and two loaves of bread taken from the first wheat of the year were baked and eaten by the kohanim. However, Shavuot was also the time when the Jewish Nation, assembled together as one, accepted upon themselves the Torah and received the Ten Commandments at Mt. Sinai after the long journey out of slavery in Egypt. So long as the Jewish Nation dwelled in exile outside of the Land of Israel, and there was no longer a Temple to serve as a magnet for national activities, the aspect of receiving the Torah was paramount. In modern times, the People of Israel are in the process of returning to live in the Land of Israel as promised by the Hebrew prophets. As a result, the long neglected aspects of Shavuot are coming to the fore. The Mishnah, the classical collection of the Oral Tradition that explains the Torah Law, relates that when the Temple stood in all of its glory, crowds of people would gather from all over Israel to make the pilgrimage to Jerusalem. They took with them the most special and choice fruits that were designated in the fields and vineyards for this purpose. Led by musicians, crowds made their way up to Jerusalem to present their first fruits to the kohanim who served in the Temple. 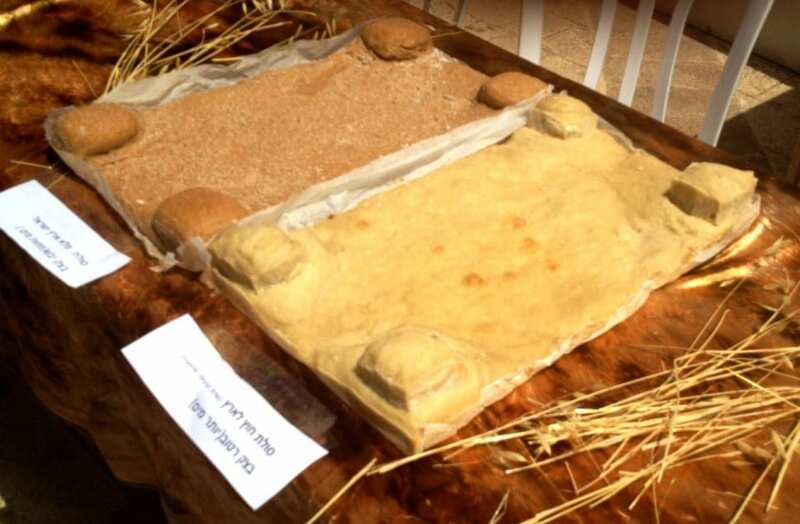 An essential element of the Shavuot Holiday was the preparation and offering of two special loaves of bread. Taken from the first wheat of the season to ripen, they were large, rectangular in shape with four mini towers at each corner of the loaf. Before baking the loaves, the kohanim-priests would pinch off a handful of flower and throw it into the fire on the altar that stood at the center of the Great Temple. These two loaves were unusual in that they were prepared with natural leavening, whereas nearly all other grain offerings at the Temple were made without leavening. 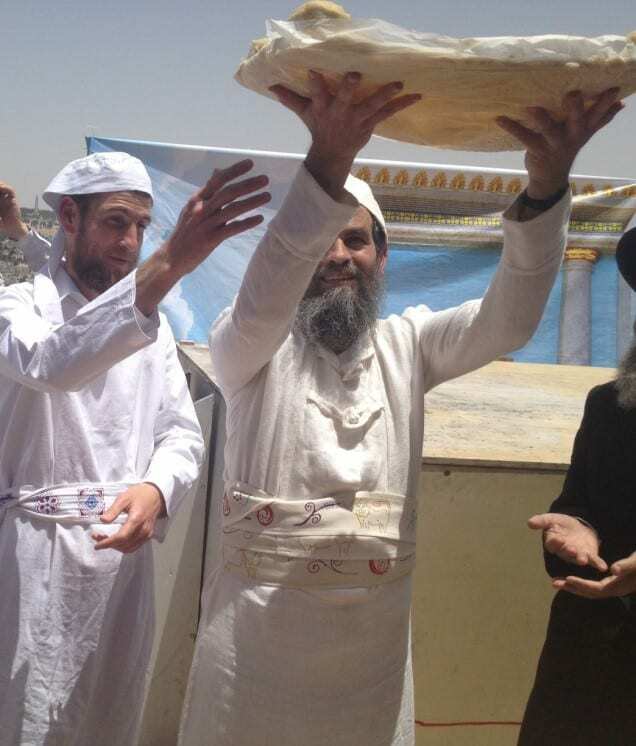 At the re-enactment on Monday, the kohanim lifted the loaves in the air and waved them up and down, back and forth, and around. 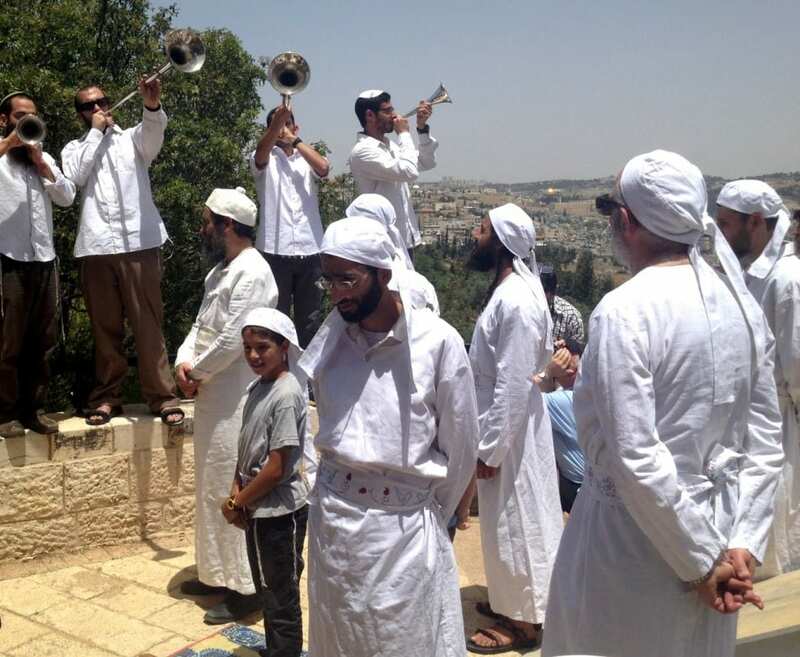 In addition, as a special part of the ceremony, kohanim listened in unison to the blasts of specially made silver trumpets. 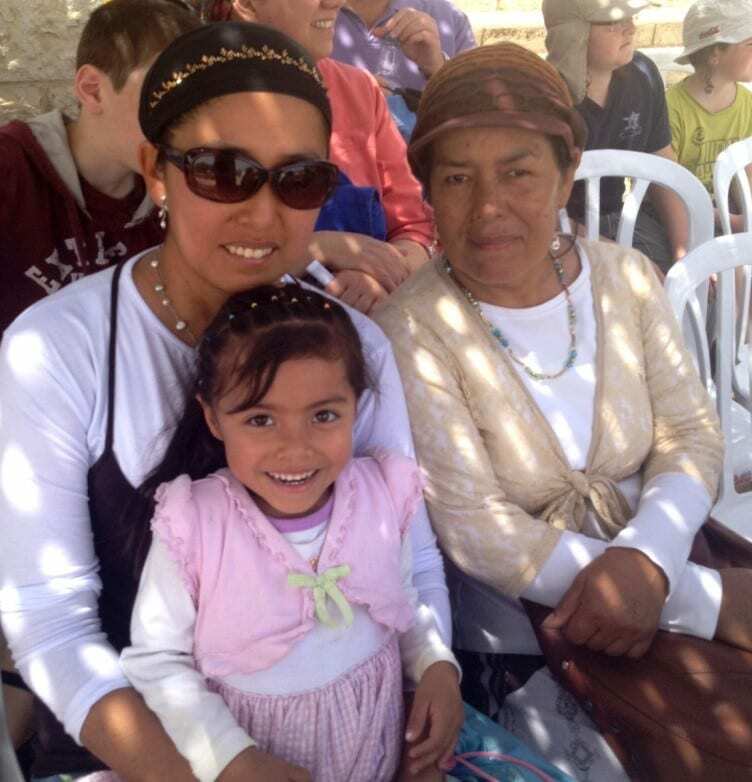 In fulfillment of the biblical prophecy of Jews returning to the God given land of Israel and the rebuilding of the Holy Jewish Temple, Monday’s reenactment is one step forward to the completion when all the nations will gather at the rebuilt Temple in Jerusalem. 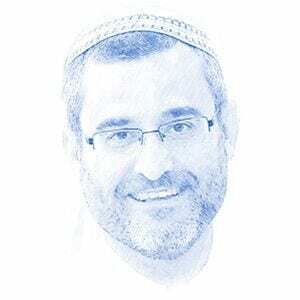 Yisrael (Jay) Rosenberg is a Boston-born marketing and technical writer. After attending Dartmouth College and working at a Washington, DC international management consultant firm, he came to Israel to explore his roots - and never left. 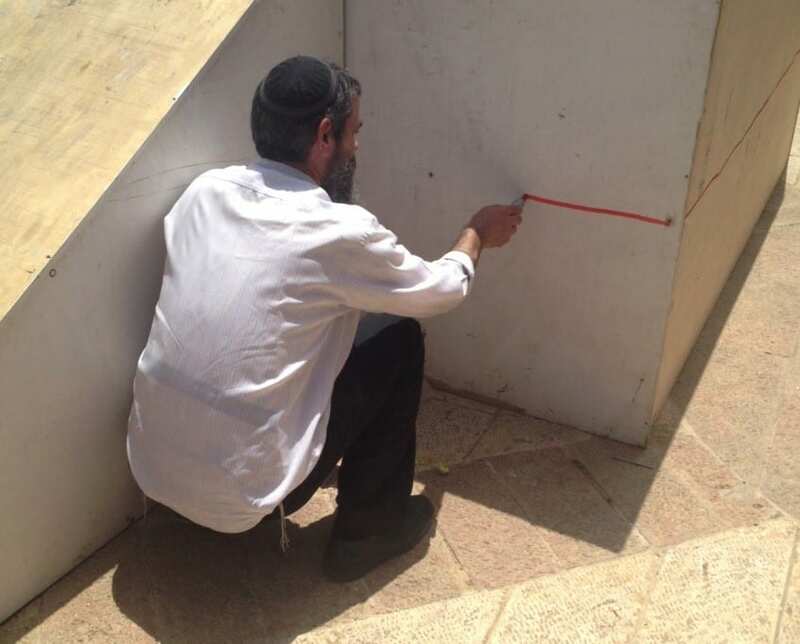 He lives in Jerusalem with his Israeli-born wife and their four children.